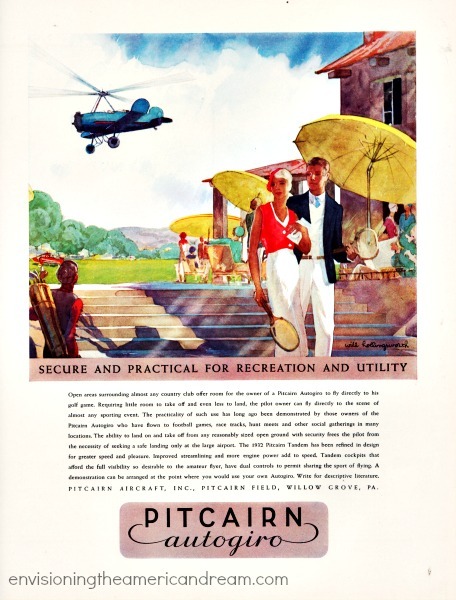 As banks were failing, home evictions rising, and breadlines at soup kitchens lengthening, winter meant only one thing to those with deep pockets – a winter vacation. 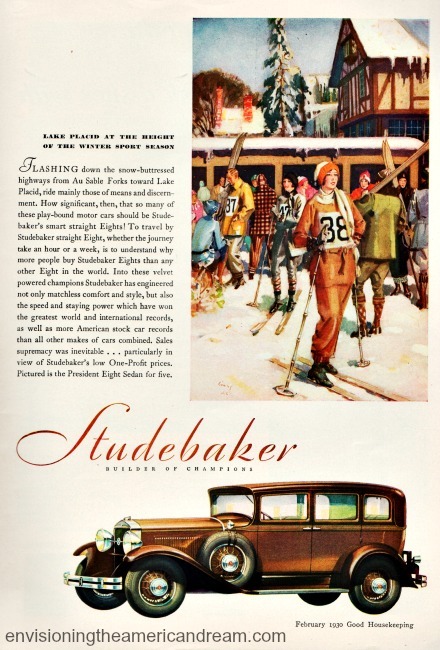 Arriving at the plush resort in the Adirondack Mountains of N.Y. in their snazzy Studebaker Eights announced to the world they had arrived. Clearly these play-bound fat cats schussing down the slopes as the economy spiraled downward, were part of the elite. That this ad ran in “Good Housekeeping” alongside helpful articles suggesting “budget saving meal tips” seems mind-boggling. 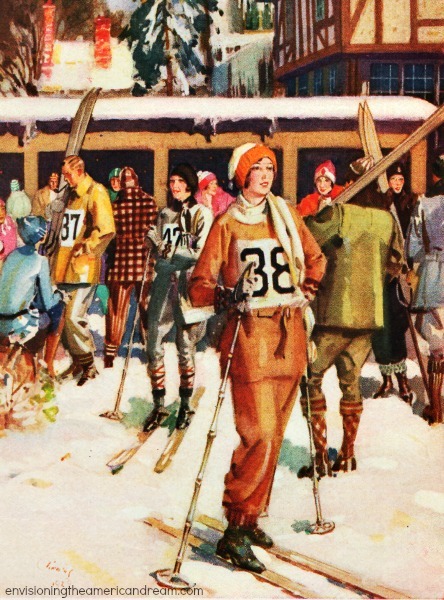 While everything was falling – industrial output, unemployment, wages, prices and human spirits, the rich need only worry about accidentally falling during a ski run. 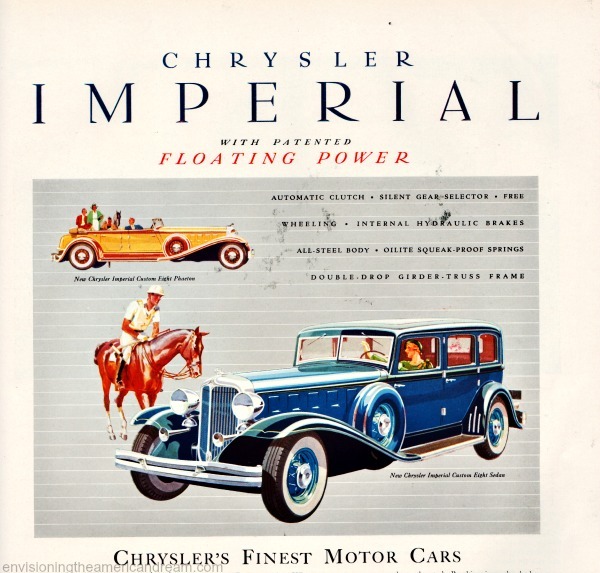 At a time when men re-sharpened and reused old razor blades and used 25 watt light bulbs to save electricity, few but those of means could afford a new car. When a Ford costing $495 was a pipe dream, a basic Studebaker starting at $1,395 was unthinkable. 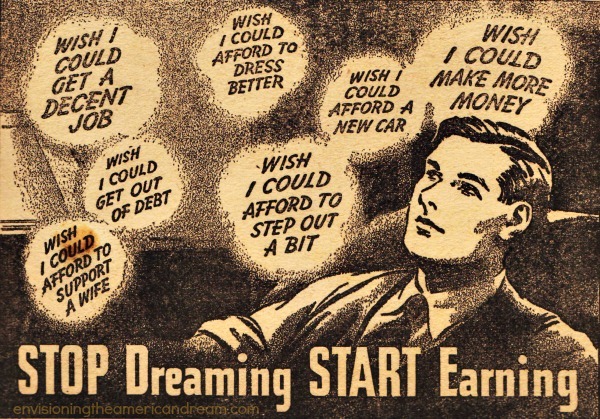 As rampant unemployment and poverty became more and more common, the wealthy lived in a world that remained insular, arrogant, and out of touch. The folks in these advertisements, these owners of fine country homes, town houses and yachts, seem oblivious to the crumbling economy around them. But then again so did their President. For those less sports-inclined, a winter cruise was a brilliant escape from harsh winter. 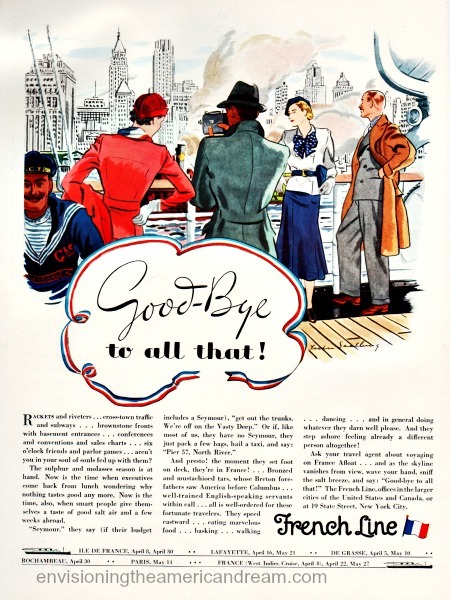 “Say Goodbye to All That,” cheers on the headline in this 1930 ad for French Line Cruises. “Now is the time when executives come back from lunch wondering why nothing tastes good anymore. Now is the time also when smart people give themselves a taste of good salt air and few weeks abroad,” tempts the French Line advertisement. Seymour they say, ‘get out the trunks. We’re off on the vast deep’.. And presto! The moment they set foot on deck they’re in France! Ask your travel agent about voyaging on France afloat…and as the skyline vanishes from view wave your hand sniff in the salt breeze and say Goodbye to all that! A secure job. 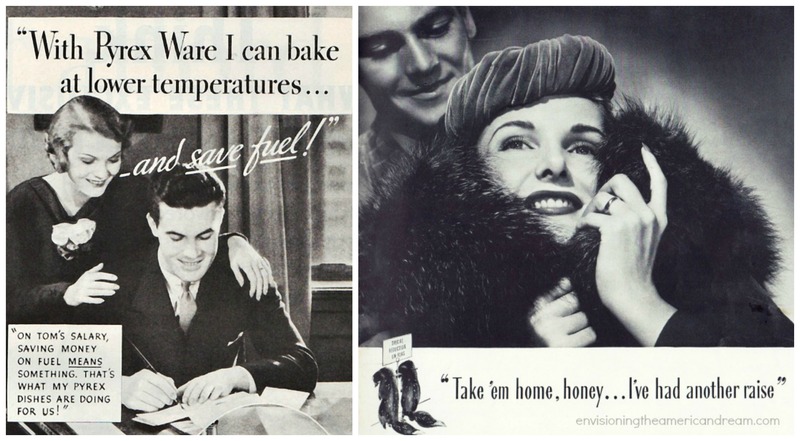 a warm home, and food on the table; many during the Depression had already said goodbye to all that. Especially if you listened to one of their own, Secretary of the Treasury Andrew W. Mellon the banker, businessman, industrialist, and member of the prestigious and wealthy Mellon family. File This Under Let Them Eat Cake Department- The disconnect today between the have and have nots was brought into sharp relief when Commerce Secretary Wilbur Ross commented he didn’t understand why unpaid government workers are going to homeless shelters and food banks rather than taking out loans to pay their bills.